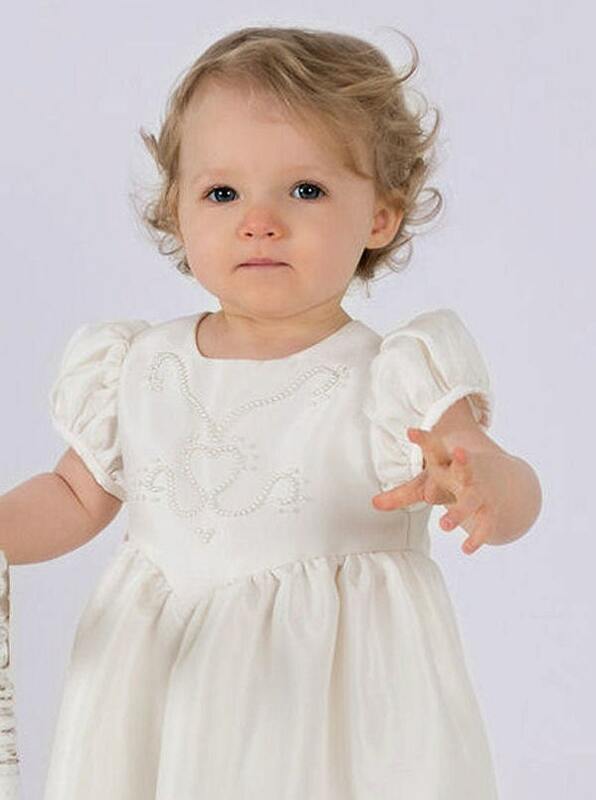 The beauty of this Christening / Baptism dress lies with the hand beading decorating the front bodice. 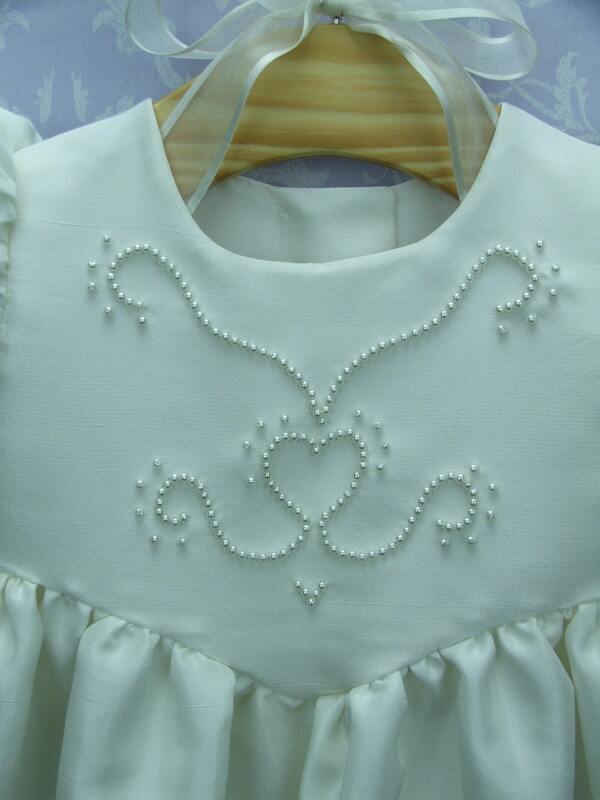 A flourish of ivory beading that centres around a heart design, creates a unique feature that will always be young at heart. We are famous for our hand beading. Amy features lightly gathered capped sleeves with a narrow cuff. 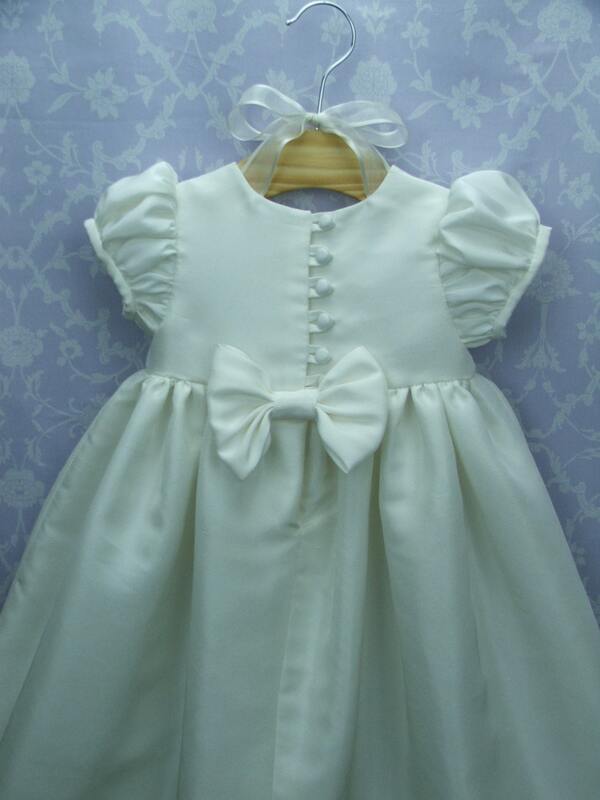 The back of the dress features covered buttons and rouleau, loop fastenings and a set bow. 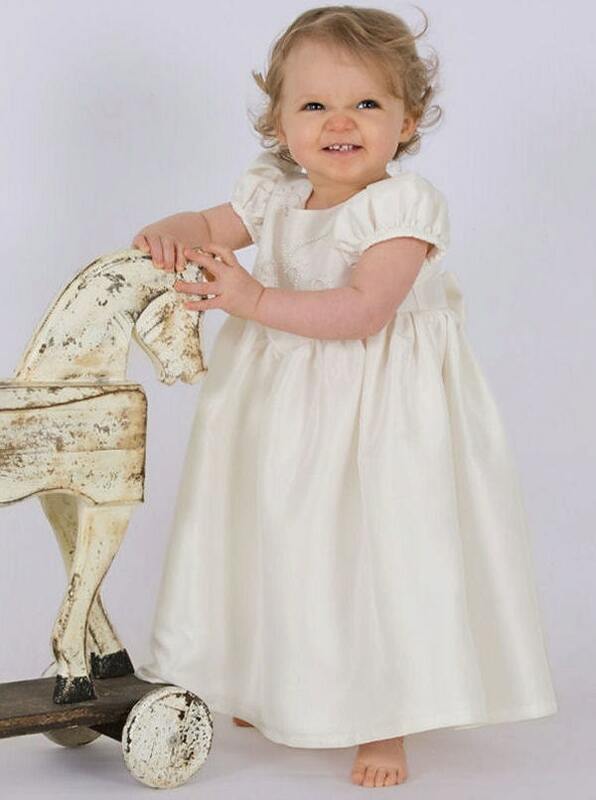 Please note this gown is intended to fall between mid-calf and ankle depending on the height of your child. 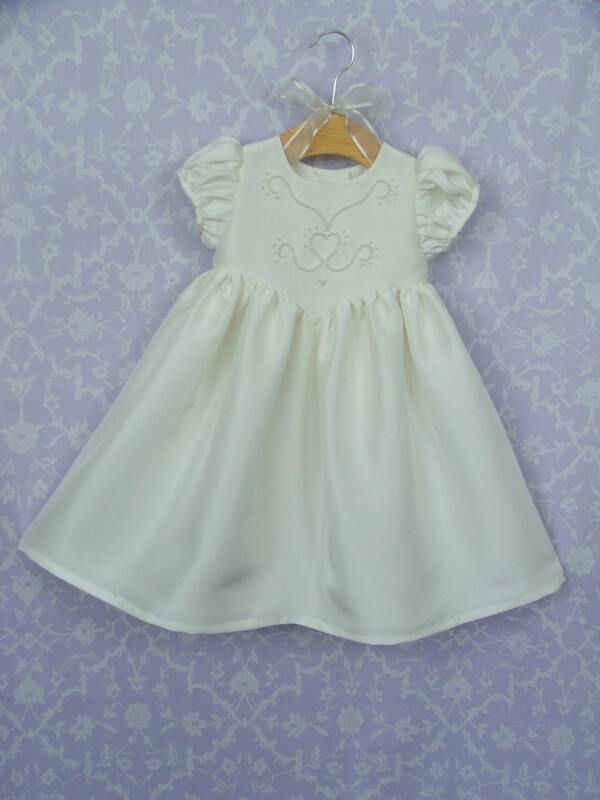 We offer a range of Cathedral length gowns if you are looking for gowns of approximately 33 inches in length see our shop for long gowns. Please note the nature of dupion silk is such that it has a natural finish that includes variations in the weave and occasional slubs (thicker strands) that are all a characteristic of this beautiful silk.